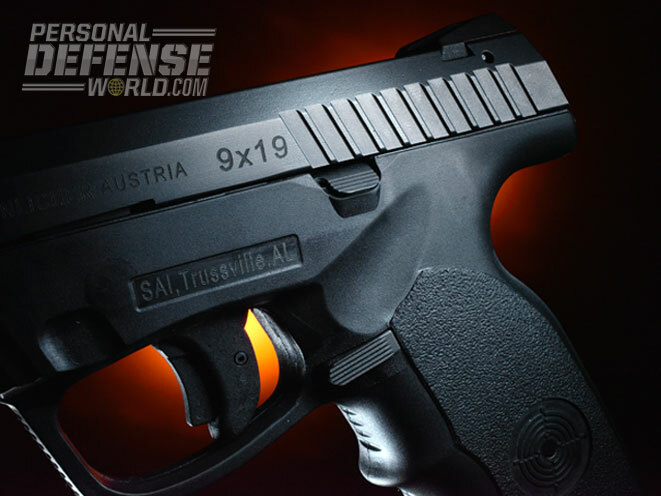 Meet the new striker-fired gem on the block, Steyr Arms’ L9-A1 9mm powerhouse! 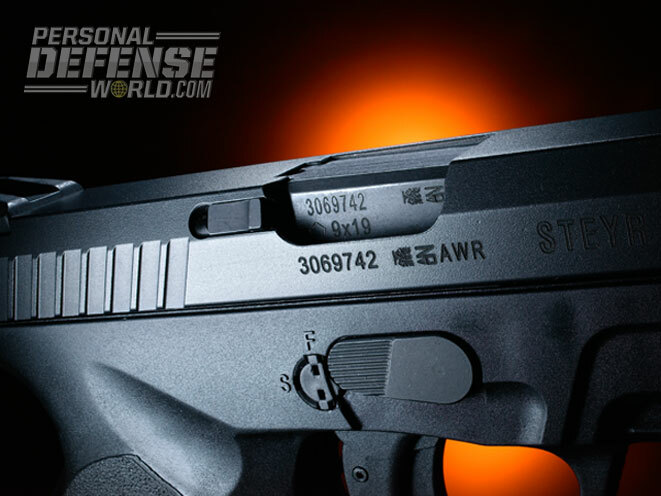 The trapezoidal rear sight is easy to see for quick shots on target. The trapezoidal front sight aligns nicely with the rear for a clear sight picture. 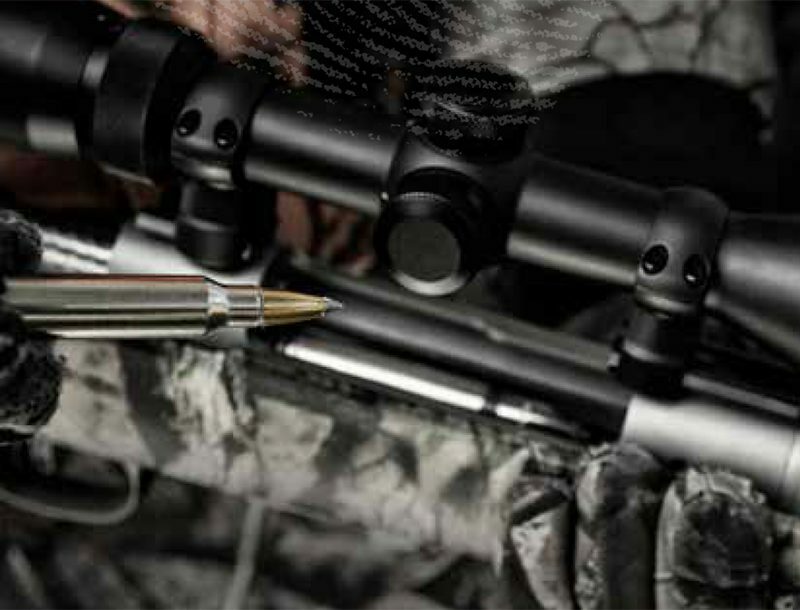 The L9-A1’s finger-grooved grip proved highly ergonomic and easy to handle during extended range use. The gun’s oversized triggerguard allows for use with gloves. The L9-A1’s full-length integrated rail accommodates standard-size lights and/or lasers. 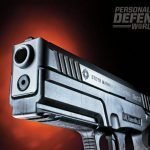 Striker-fired pistols are quickly becoming the norm. 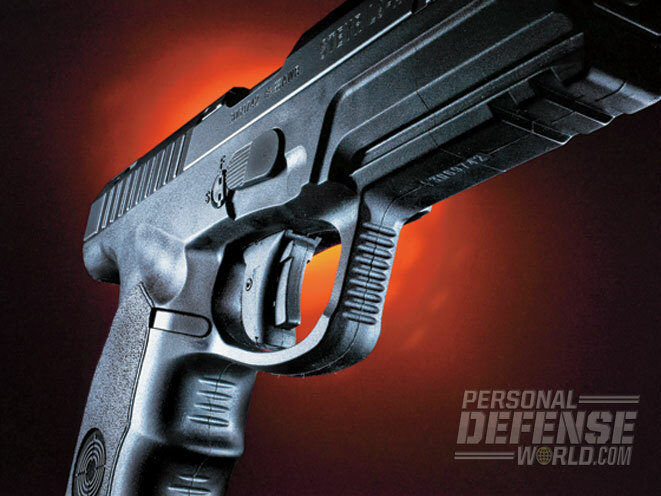 They offer several advantages to the user, especially for self-defense or duty work. 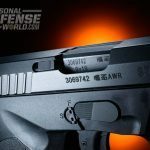 They provide simple operation, solid accuracy and some of the best reliability a pistol can exhibit. Using polymer as a lower allows for a myriad of designs that fit just about anyone, and modular grips, frames and other attachments are simple and inexpensive. Maintenance is also easy and generally minimal. 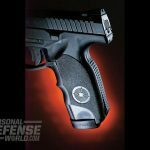 Having carried metal hammer-fired pistols most of my life, a polymer striker-fired pistol sits at my side almost constantly these days, typically chambered in 9mm. My rather large hands make several of the most popular striker-fired pistols problematic for me. Especially when long range days or substantial round counts occur, they are just uncomfortable to shoot. 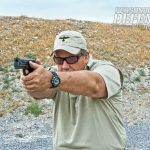 Square grips on larger-framed pistols are fine, as the large-framed Glock pistols are amongst my favorites. Medium-sized guns are a different story, however, as they are just not comfortable for me. 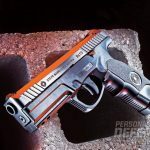 Several pistols introduced in the last couple years have made it better for me with more rounded grips, and even grip angle changes. One of these is the Steyr L9-A1 9mm pistol. 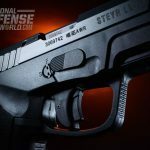 My introduction to the Steyr occurred in 1999 when prototypes were first introduced. It was an interesting design, with a really light trigger pull and a trapezoidal sight picture. It fit really well in my hand, pointed well and looked promising. Gripping the pistol, I found it had a very low bore axis, making it feel very solid. Range testing occurred a couple years later. The trigger pull had been increased a bit, but it was otherwise the same. It was very fast to shoot, and while the sights took some getting used to, they worked rather well. 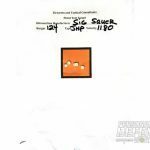 Chambered in both 9mm and .40 S&W, it had limited success but was well thought of as a rule. Steyr’s latest versions, the M-A1 and S-A1 (compact), replaced the M in 2004. 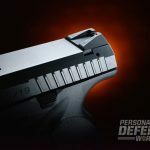 It included a redesigned grip, an optional manual safety (outside the U.S.) and a lower rail for the use of a light. 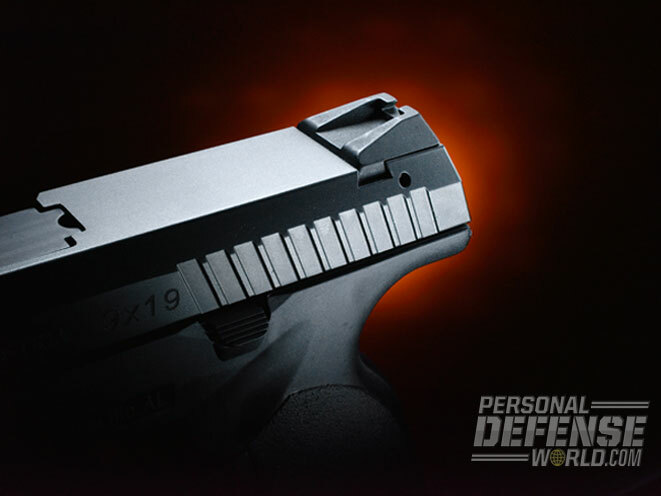 Models introduced to the U.S. in 2010 included an improved trigger pull and a modified extractor. In 2013, the L9-A1 was introduced with a slightly longer barrel (4.5 inches instead of 4 inches). 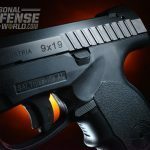 After shooting one at the grand opening of Steyr’s new facility in Bessemer, Alabama, I requested one for more extensive testing at home. 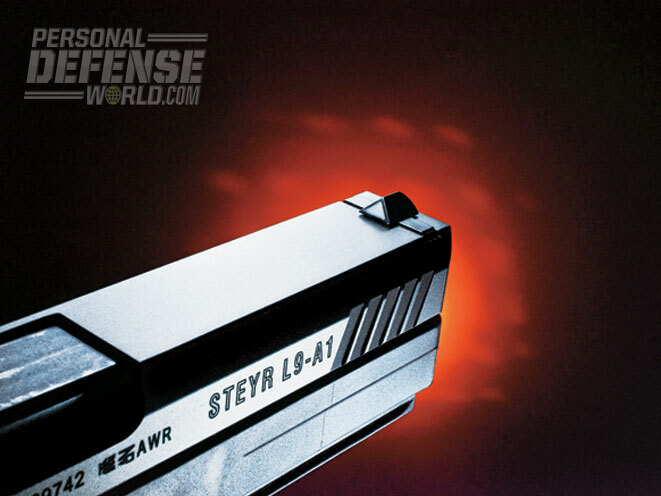 The L9-A1 is Steyr’s version of a full-sized service pistol. 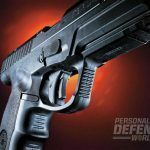 Using a 4.5-inch barrel puts it in line with many other duty pistols in terms of size and ballistics. It provides what many see as the optimal platform for both duty use and competition. 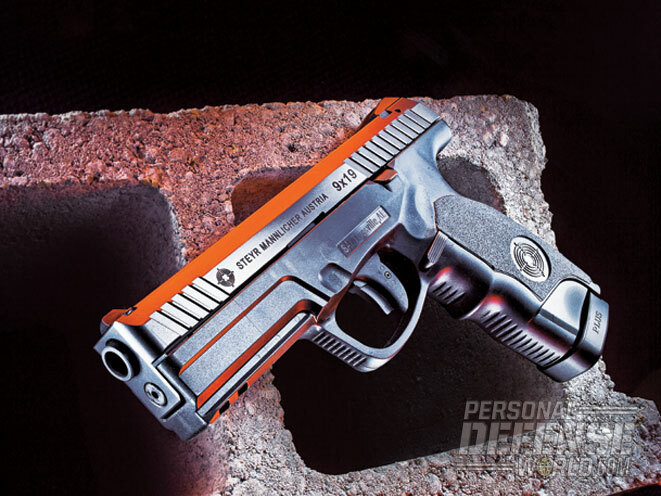 It maintains the low bore axis, contoured grip and grip angle of the M-A1 pistol. Magazine capacity remains at 17 rounds (12 in .40 S&W). There are two loaded-chamber indicators: a bump on the extractor as well as one at the rear of the slide. A chambered round results in the protrusion of a pin at the back of the slide. It can be seen and felt. 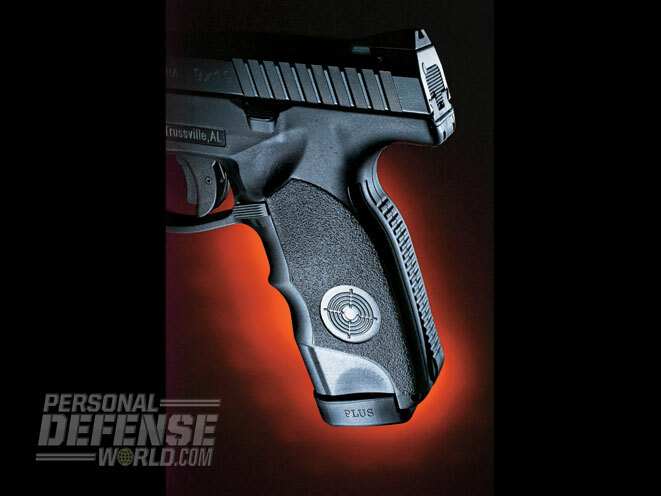 A slide stop sits on the left side and the magazine release can be swapped from side to side. 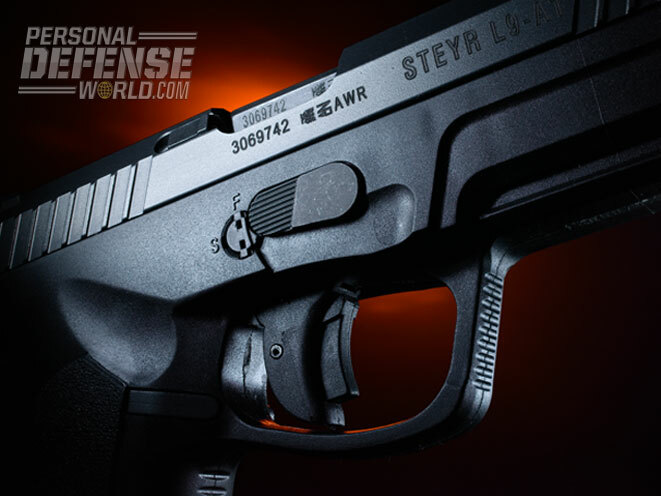 Steyr’s integrated locking mechanism (limited access lock) sits next to the take-down lever. Using a supplied key locks the trigger and prevents the weapon from being disassembled. Disassembly requires this key be pushed in while the take-down lever is moved and the slide removed. 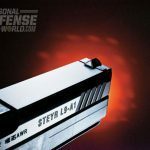 The barrel of the Steyr L9-A1 is hammer forged and fully supported. Trapezoidal sights are standard and drift adjustable. 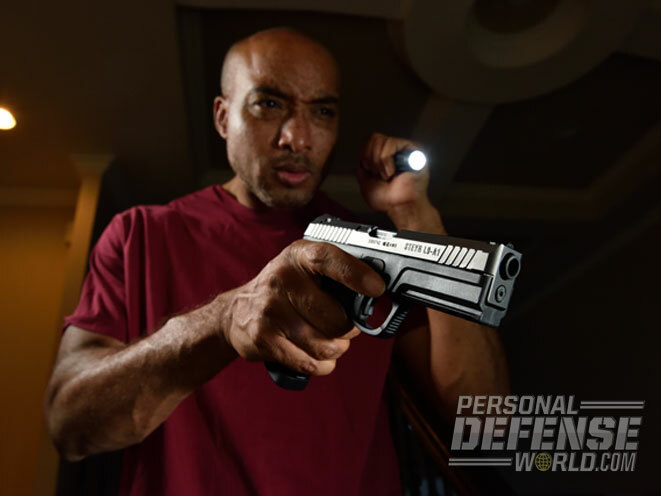 Trijicon makes a set of night sights using dots, and Steyr offers a Tri-Lux set of sights that are rectangular. In addition, two 17-round magazines are also provided in a nice plastic case. 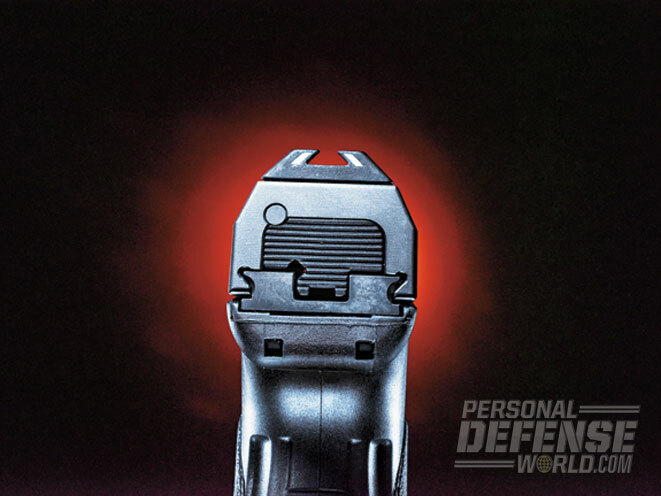 Although it’s been many years since I used a Steyr pistol, my recollection is positive. Spending quality time with the L9-A1 only confirmed it. This pistol was a ton of fun to shoot! The trigger was very predictable as far as striker-fired pistols go. Take-up was less than most and lacked the “crunch” found in other triggers. It broke cleanly at just a tad over 5.5 pounds, and overtravel was minimal. I’ve never been a fan of trigger-mounted drop safeties, but this one was less annoying than most. Its placement meant that after a couple boxes of ammunition it went all but unnoticed. Rather than pivoting or breaking the trigger in half, it moves straight back, making it very smooth and almost unnoticeable. Accuracy was excellent. 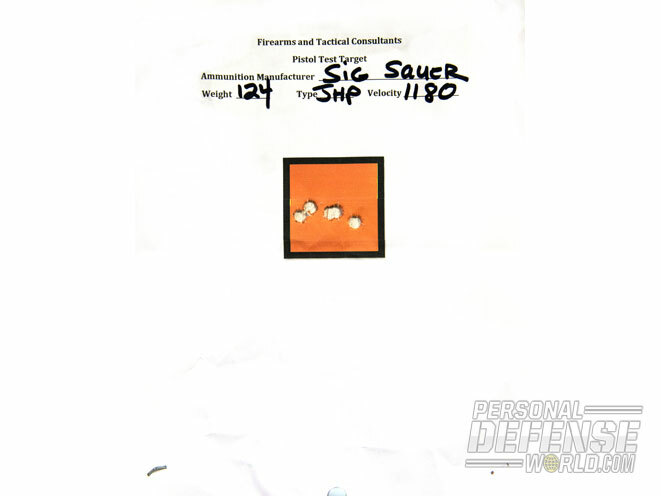 My best group was with Sig Sauer’s Elite Performance load, measuring about 1.5 inches. Everything shot well, including high-velocity, low-mass bullets like the Liberty Civil Defense ammunition. With a bit of practice, it was actually very easy to get precise results using the trapezoidal sighting system. While this system is different for sure, it’s no less precise than your typical square sights (with or without dots). Running through several competition-type drills, the L9-A1 was quite fast. 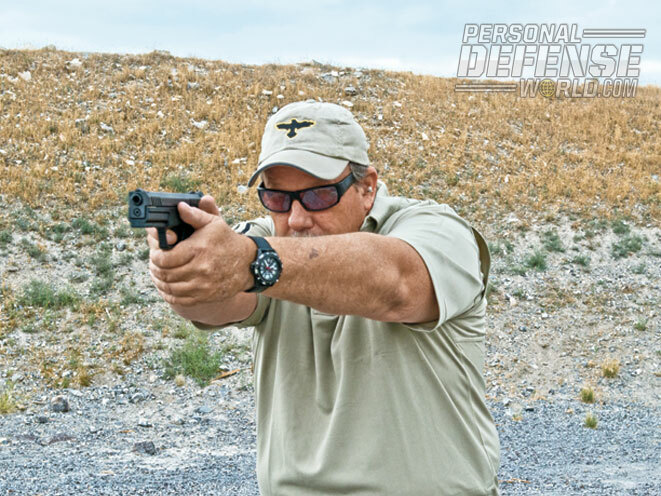 Doubles were as fast as any stock trigger designed for self-defense gets. Moving from target to target it was precise, and after some time the sighting system proved excellent. While the grip angle is not the same as a Glock, it does point a bit high for me, but that is where these sights helped. Stacking the front triangle on top remained very precise and fast when coming up at a target. Fired at typical ranges, hits stayed in the A zone without issue. Moving back to longer ranges, taking the time to line things up properly, the gun was very accurate. Staying on the 6-inch steel from off-hand at 30 yards was pretty easy. This is a very comfortable pistol for me to shoot, even with my large hands. The grip is nicely contoured, allowing my strong hand to wrap around it. After a good day on the range, my hand was not beat up like it is on similar designs. Grasping it during the draw was positive, and the high grip (low bore axis) really keeps this pistol locked in place. Slow or fast, it stayed firmly in my grip and did not slide around. Most of my polymer pistols require some stippling, but this one would not. Shooting with a slight thumbs-up grip, the tendency to activate the slide stop disappeared. 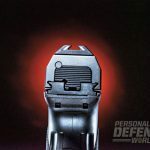 When using the ever-popular thumbs-forward grip, however, this was a problem for me, but it is on most striker-fired guns. Luckily, my time on a 1911 keeps my thumbs mostly out of the way. My strong-hand thumb barely contacts it if pushed forward with authority. My guess is shooters with smaller hands will have no issues. I’m not real high on these trigger locking systems, but that appears to be the future for many designs. However, it never moved during firing and was pretty easy to operate using the supplied key. It’s certainly great for storage or for keeping little hands in check. 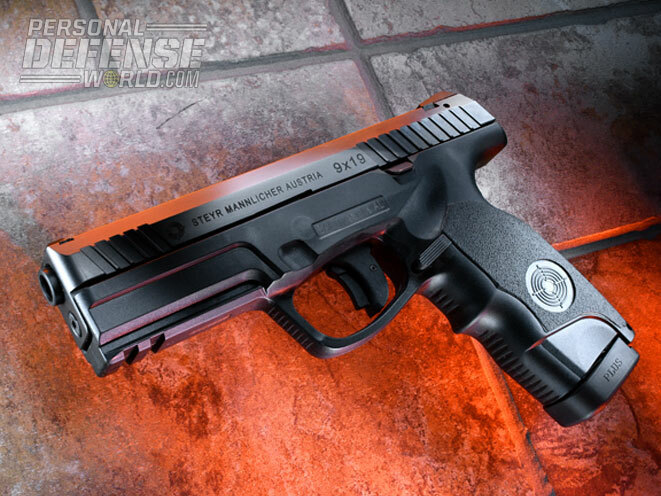 Take-down was easy and fast, just like most striker-fired pistols. And yes, you must press the trigger prior to taking it apart. That’s never been an issue for me; it is for some, so just be aware of it when cleaning. Users should also note that there is no magazine safety. Holsters are available for the L9-A1 by now, but in a pinch my G20 holsters also worked just fine. 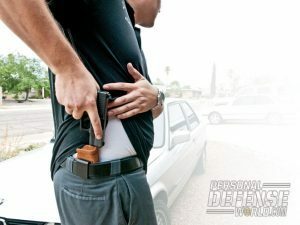 Although a bit snug at first, it even worked great in a Safariland ALS tactical holster. Adding a tactical light did nothing to affect the reliability of the L9-A1. After trying several different manufacturers, I found they all worked great on the gun. Adding a light did require a move back to a Safariland SLS holster (G20 again), but it fit perfectly and worked great. While my preference is the ALS, the SLS remains the issue holster and first choice for many in a tactical rig. 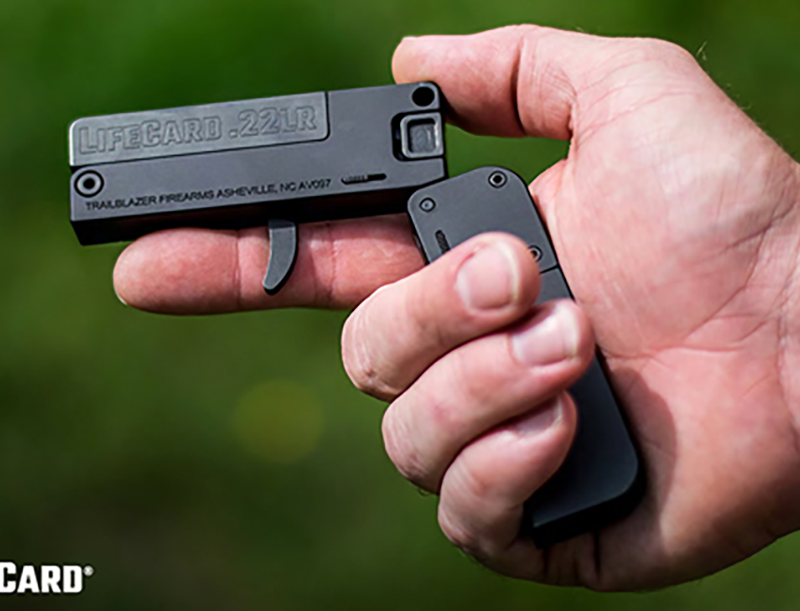 Blade Tech is also an excellent choice, and they will make one to fit your pistol. This gun was one of those pleasant surprises for me. The L9-A1 was comfortable to shoot, accurate and has one of the best factory triggers out there, especially with the trigger-mounted drop safety. I’m still not convinced on the trapezoidal sights, but they may grow on me after a while. Retail pricing ($560) puts it right there with many of its competitors. 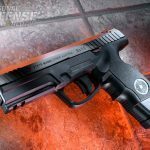 This is definitely a pistol that I’ll use and carry a great deal more, and it should be on anyone’s list who’s looking for a solid carry pistol. 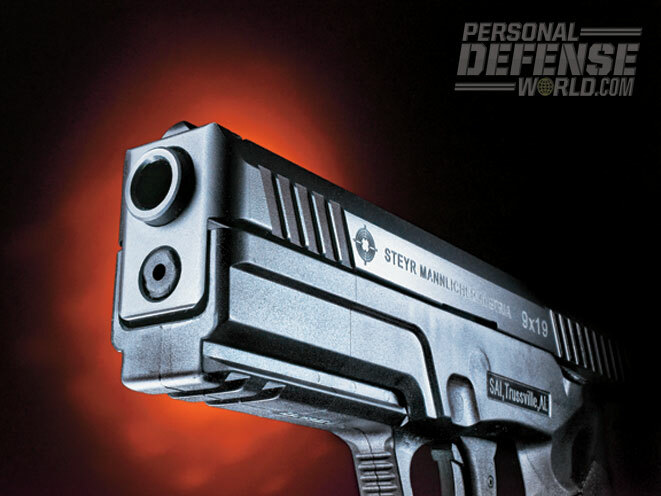 For more information, visit http://www.steyrarms.com or call 205-417-8644. 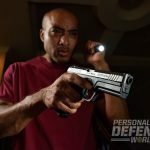 Finding the right holster for everyday carry... it’s harder than you think!